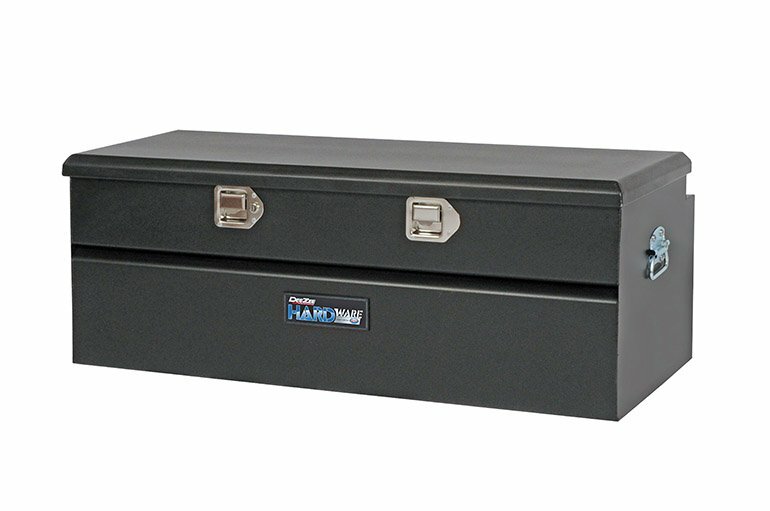 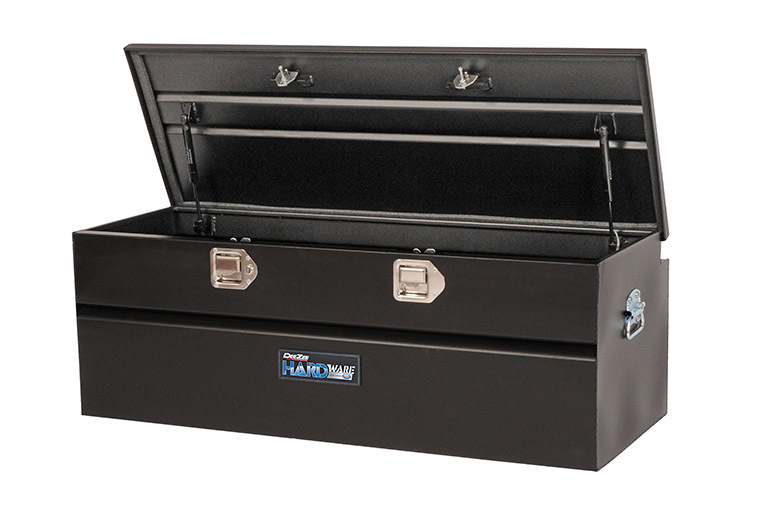 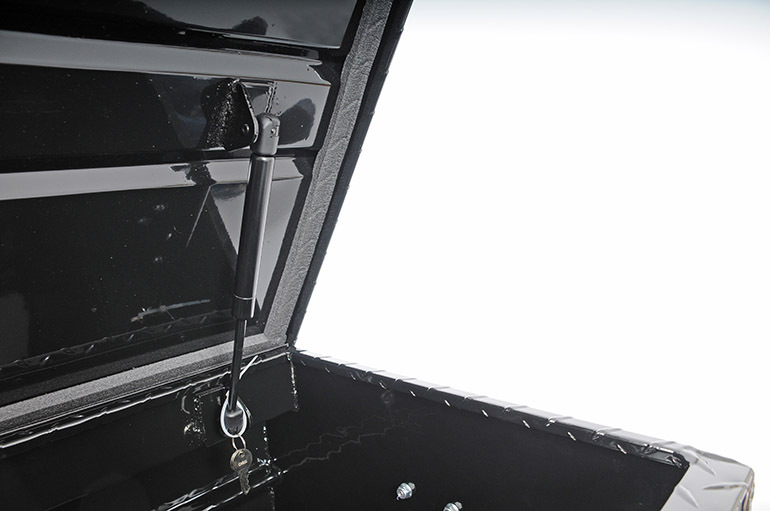 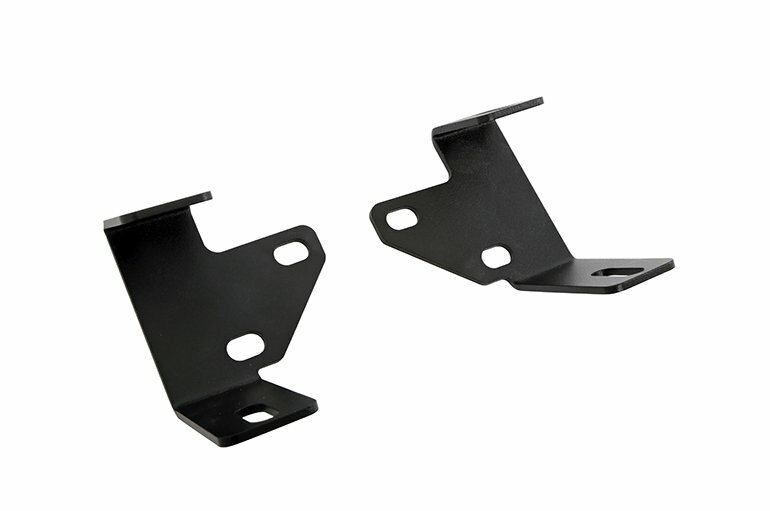 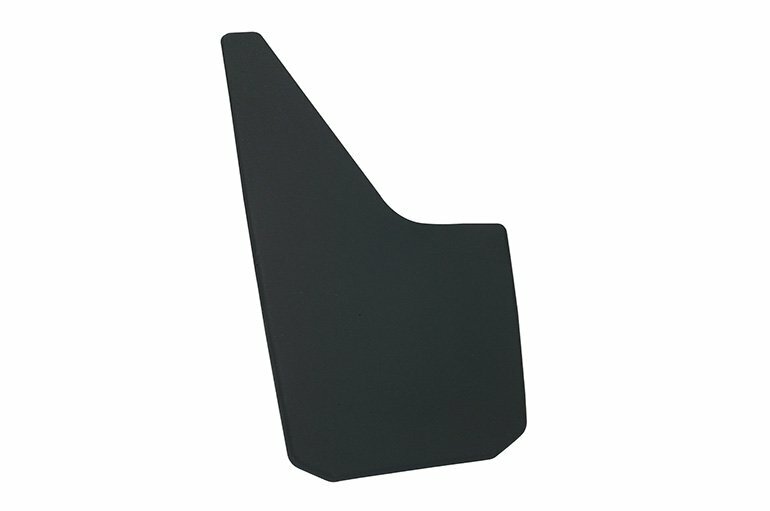 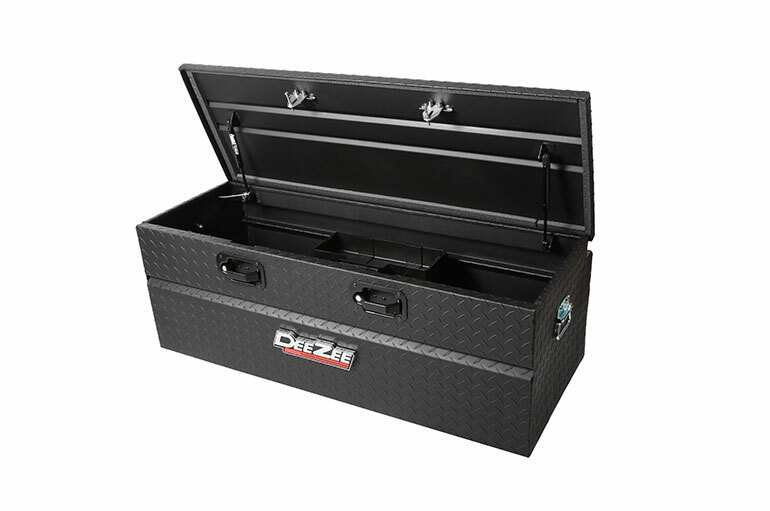 Keep your accessories protected with a stylish black powder coated universal Utility Chest. 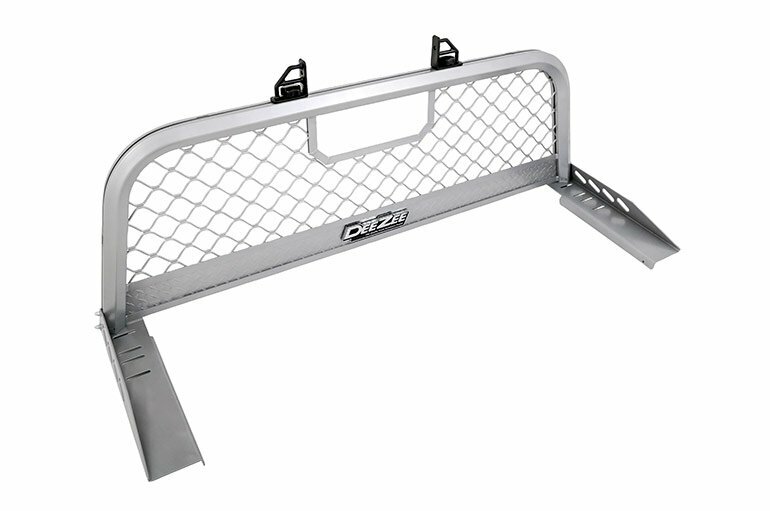 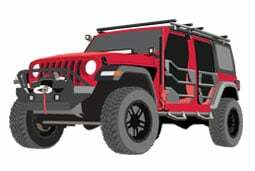 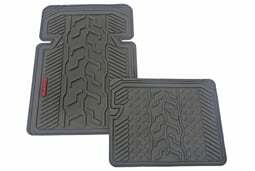 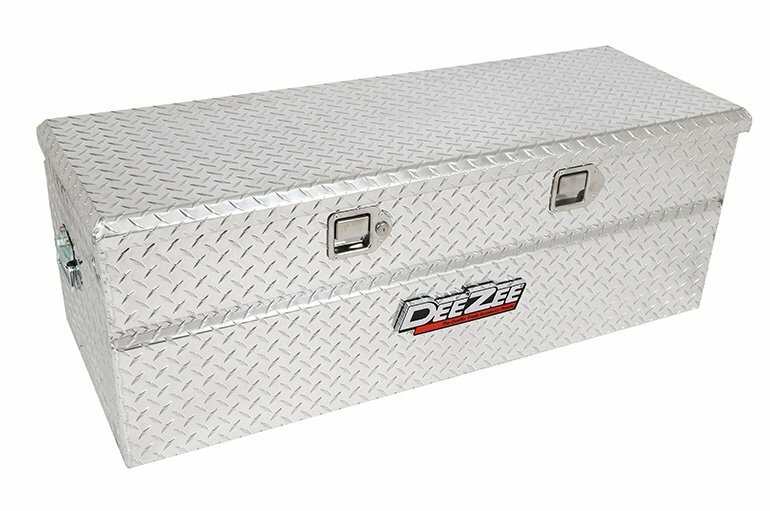 There are times when you need a box that’s as comfortable in your truck bed as it is in your garage. 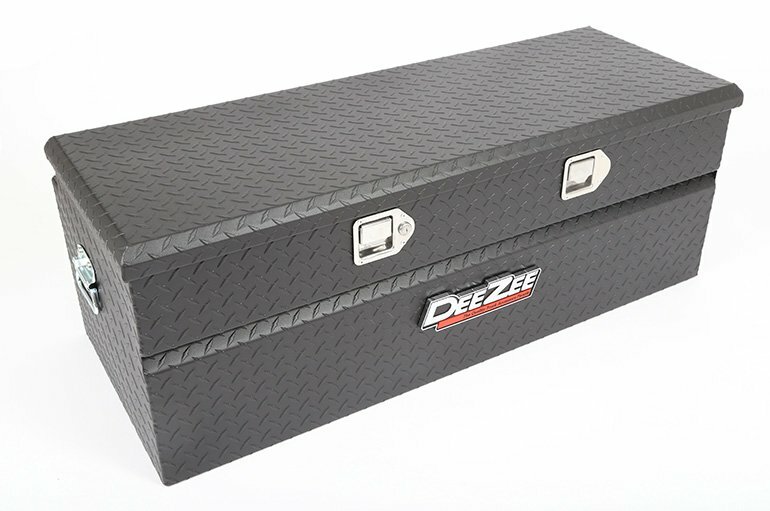 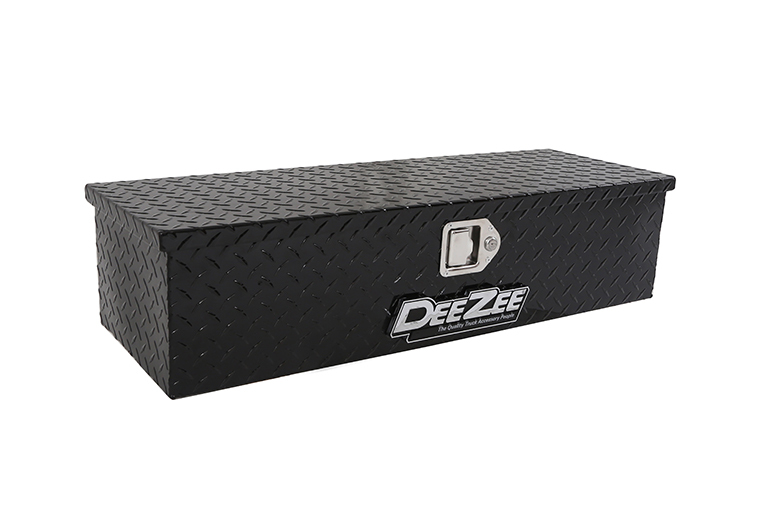 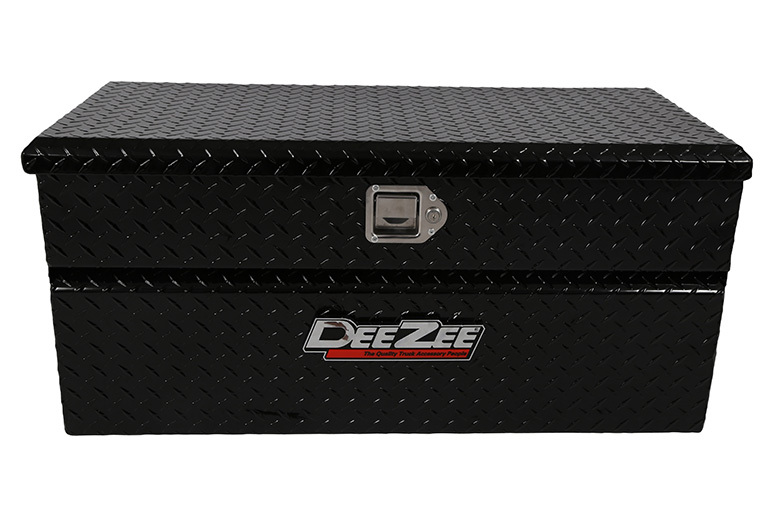 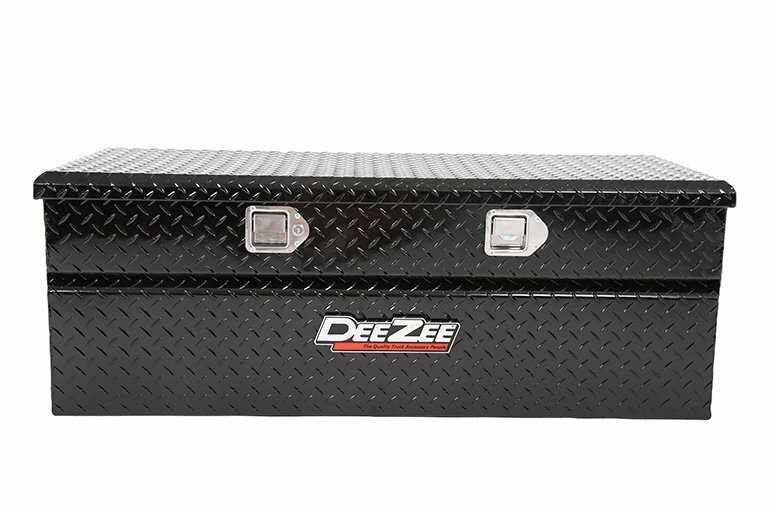 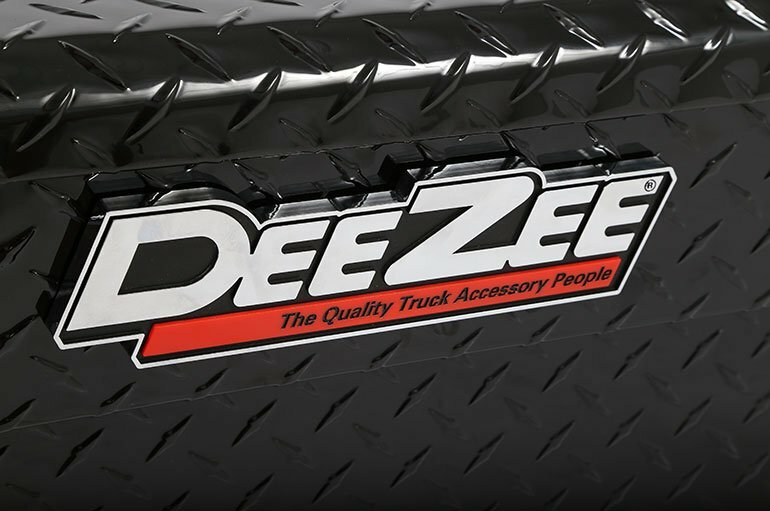 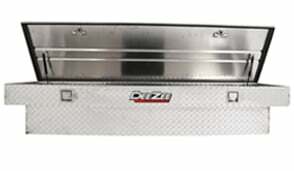 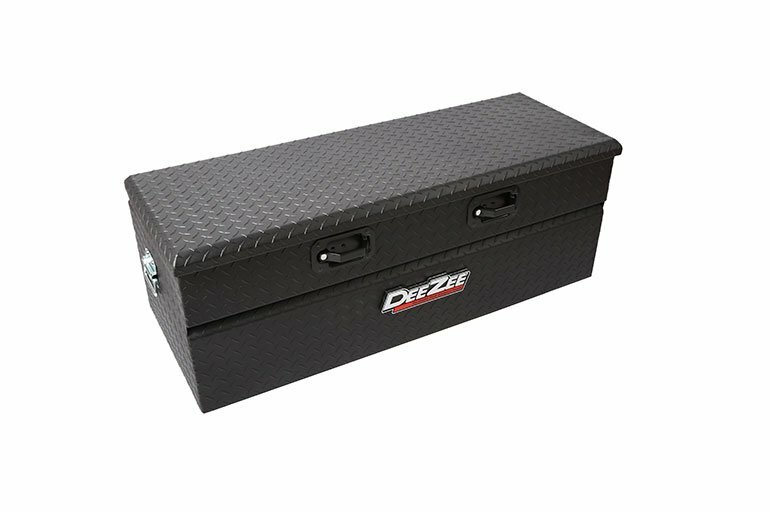 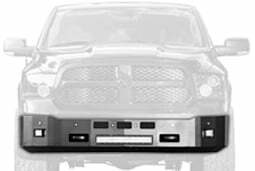 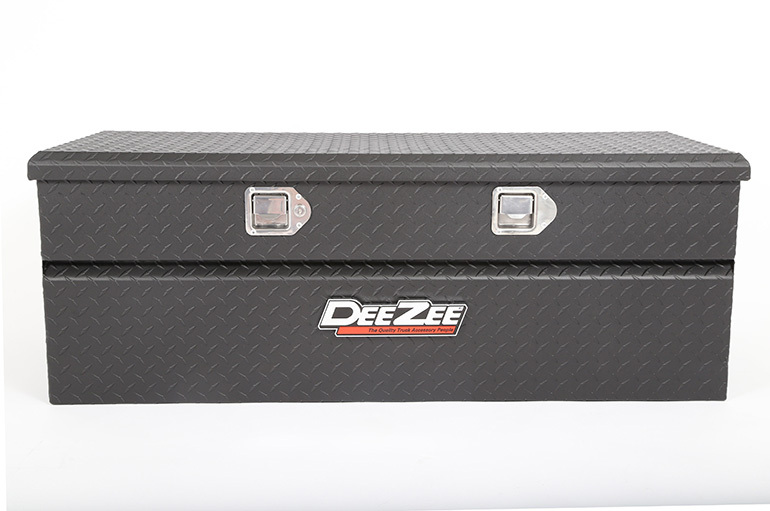 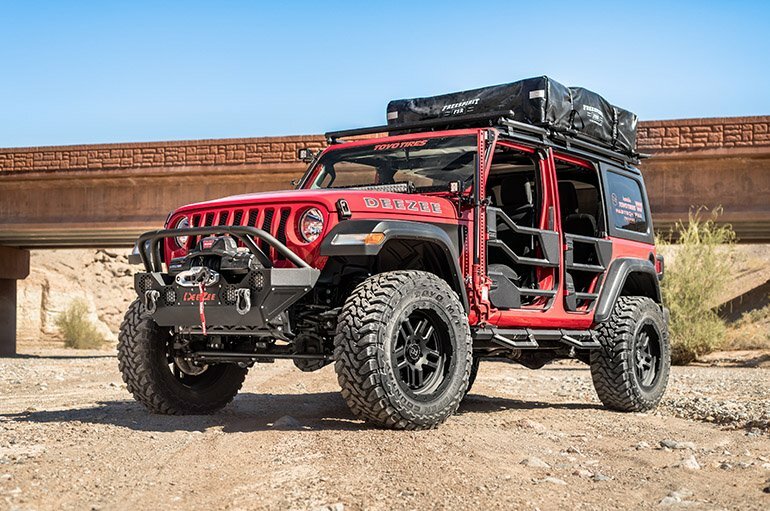 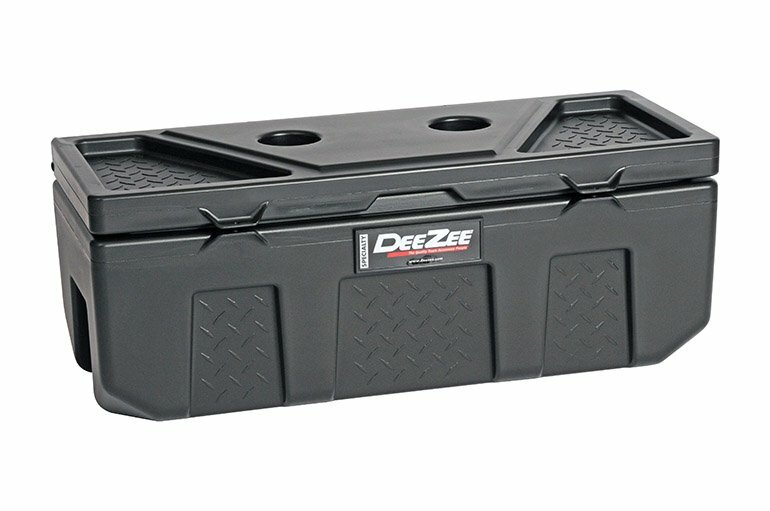 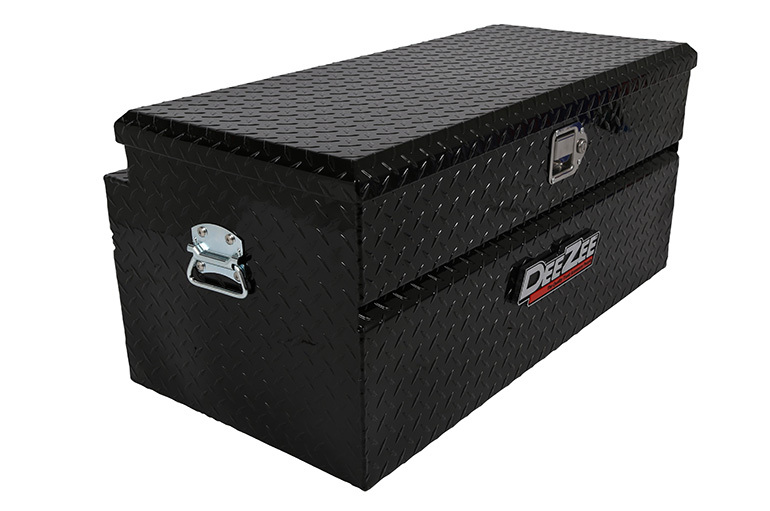 If you’re looking for a rugged yet versatile storage option that you can transport securely in your truck bed and then move right with you to your work area, the Dee Zee Red Label Utility Chest is the perfect solution. 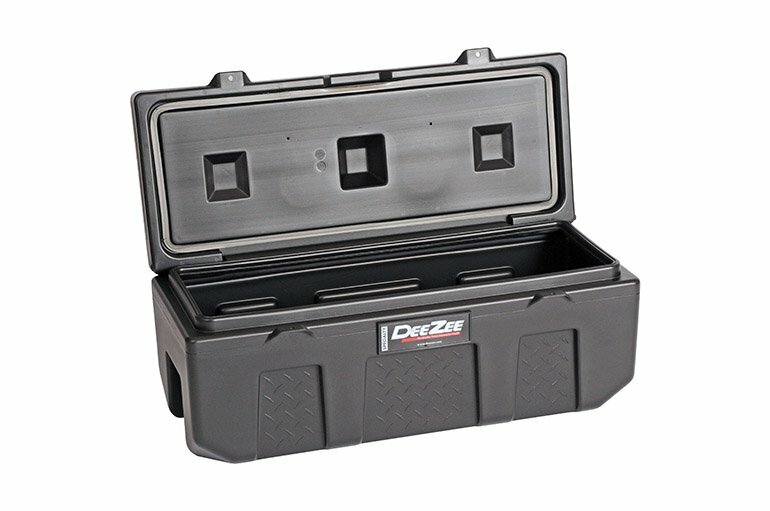 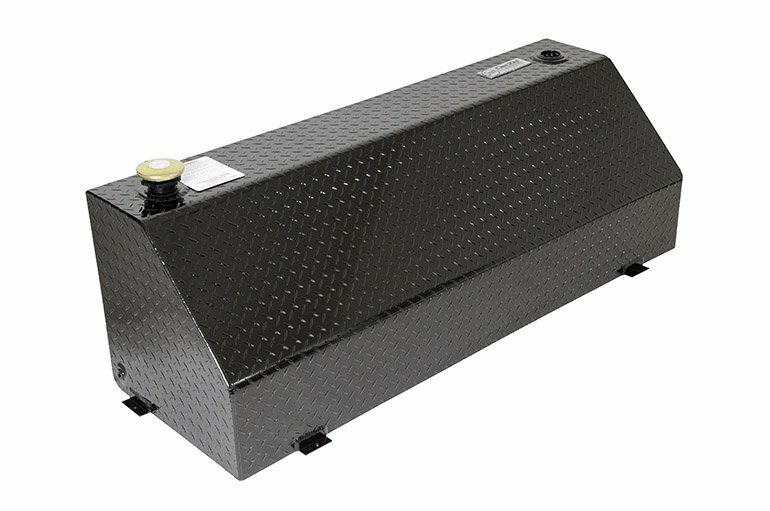 Constructed of tough .056 Brite-Tread Aluminum with internal bends and durable v-pan lid stiffener, our Red Label Utility Chest is designed to handle the abuse of daily work on the job. 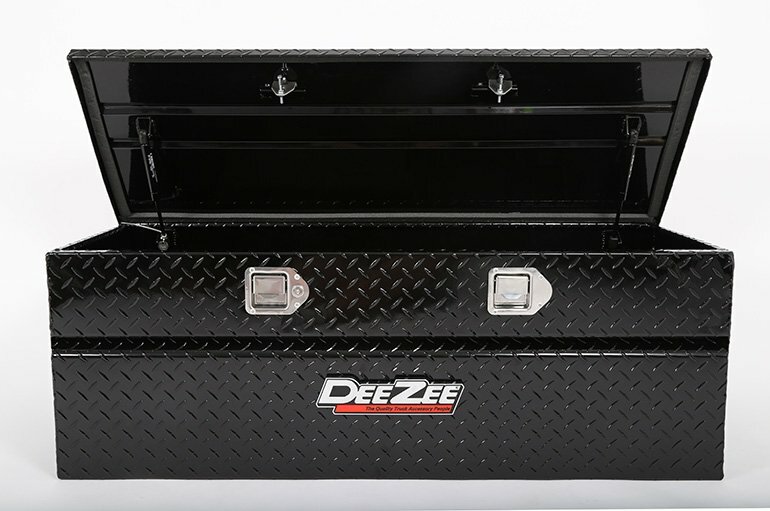 Those of us who regularly put in a full day’s work know that anything you can do to make things a little easier on the job can go a long way toward getting your project done right, and having little bit left in the tank to enjoy what little hours are left in the day. 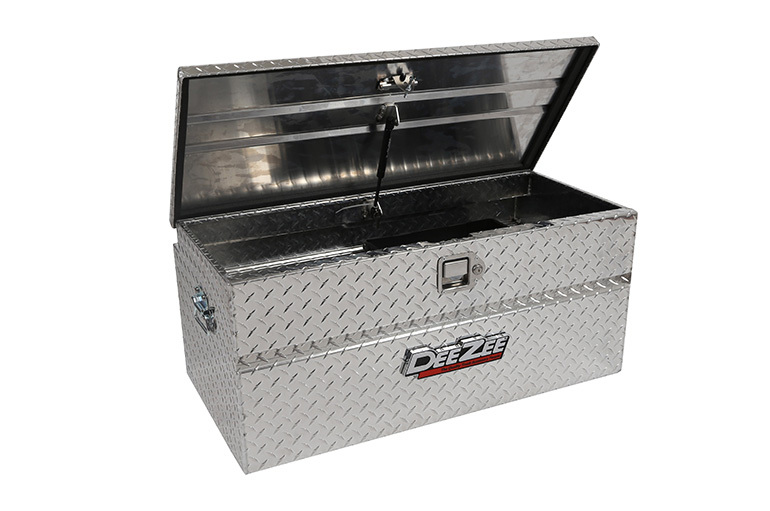 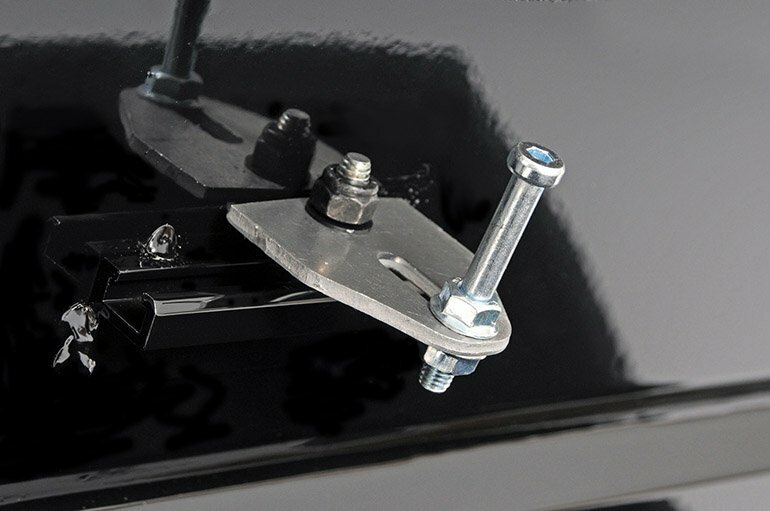 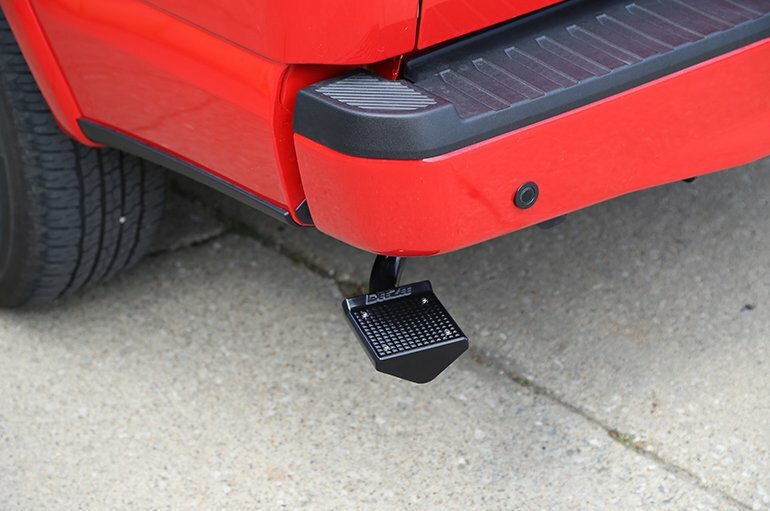 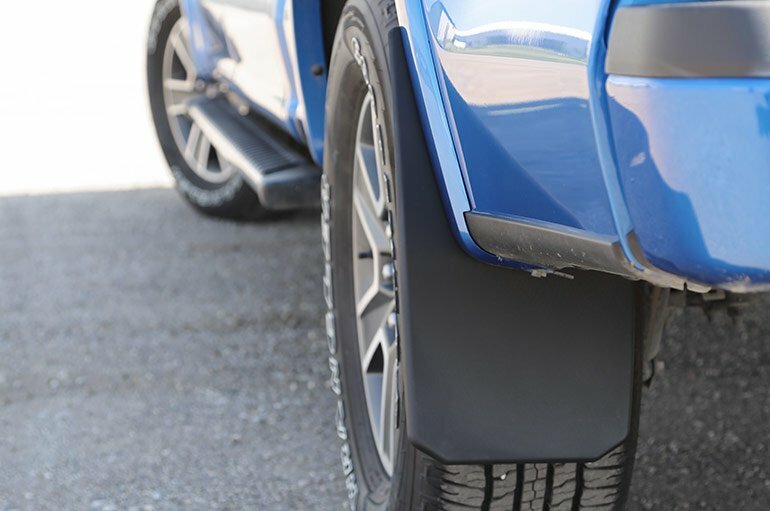 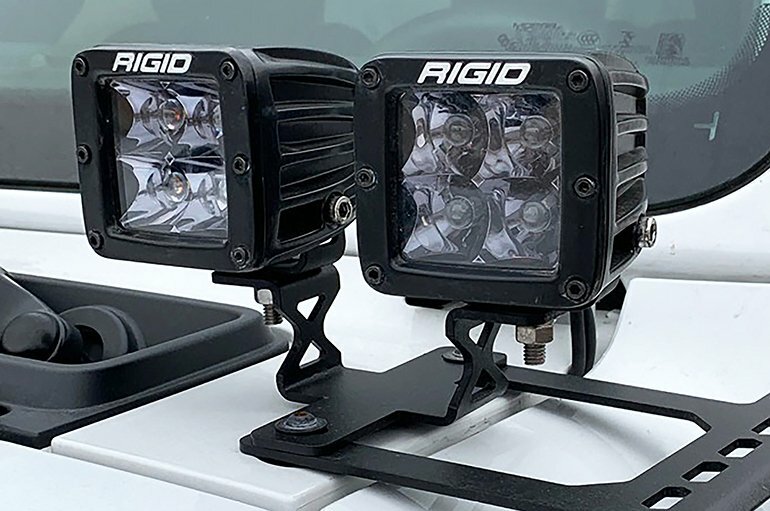 A dampened gas shock ensures the lid opens smoothly at a controlled rate, while a durable plastic tray with molded dividers gives you a way to organize smaller tools and items keeping them separated from larger items in your toolbox. 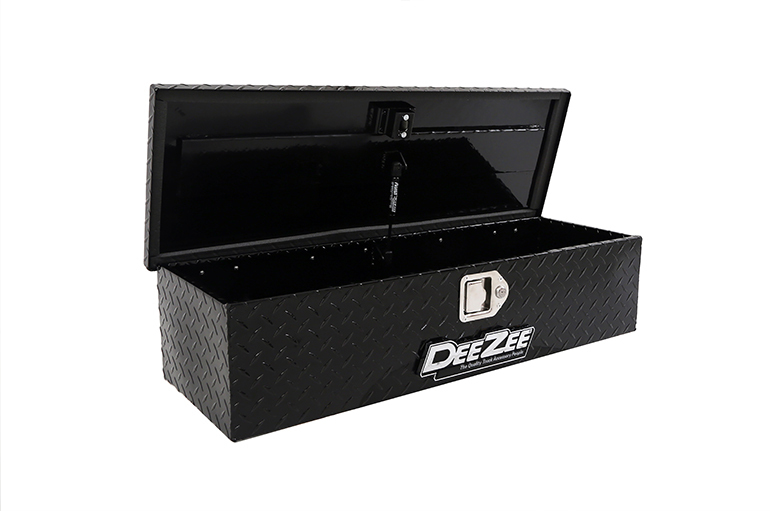 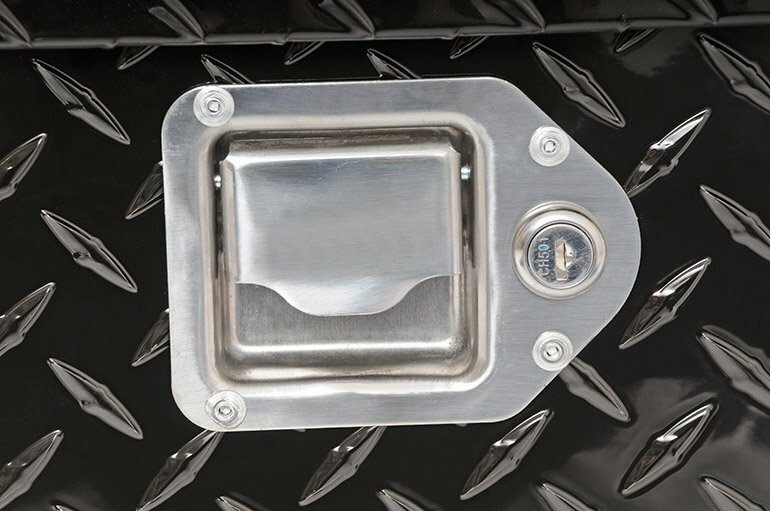 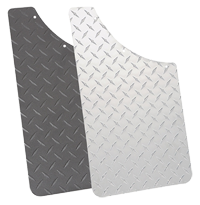 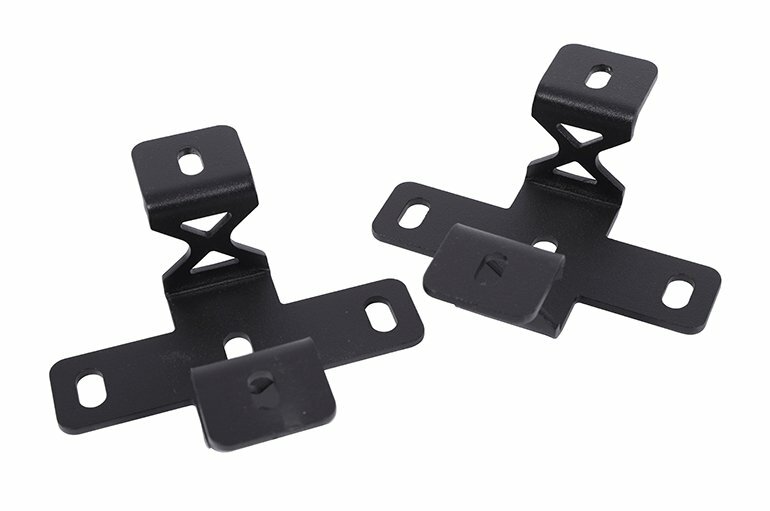 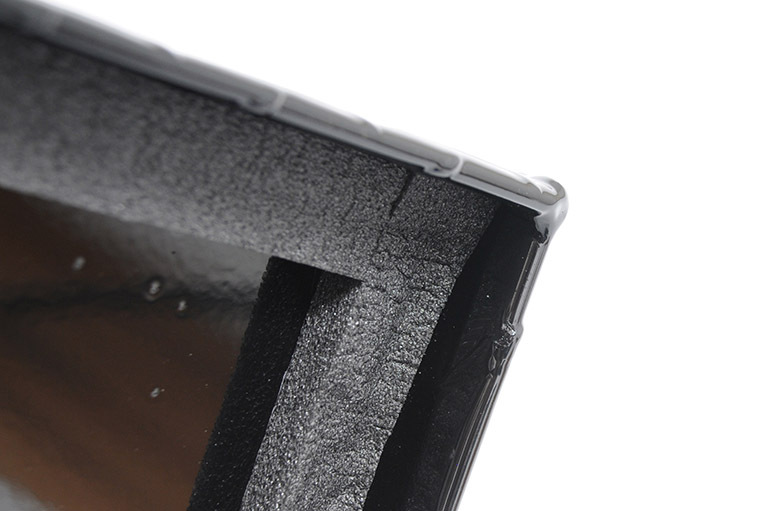 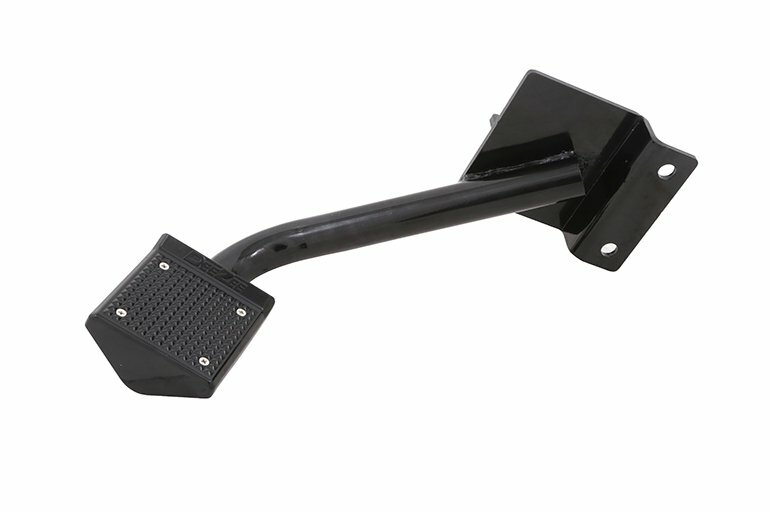 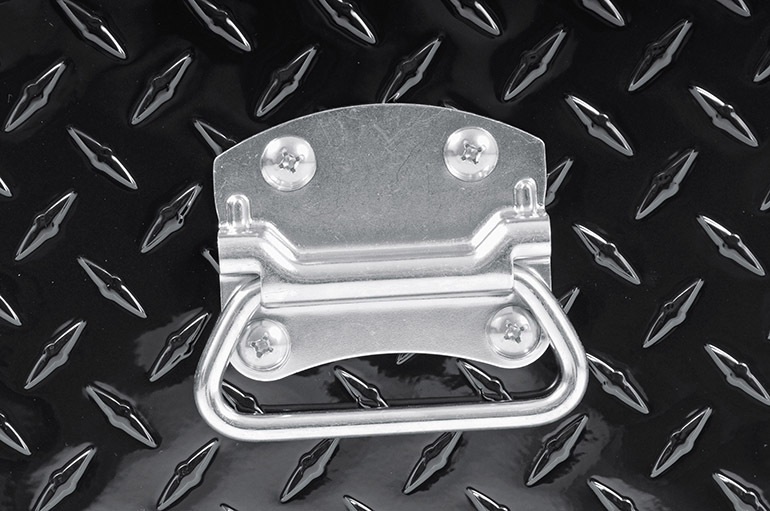 Locking stainless steel paddle or pull handles keep your items safe and secure inside the box while a closed cell foam gasket prevent weather and other outside elements from penetrating the box and compromising your tools.